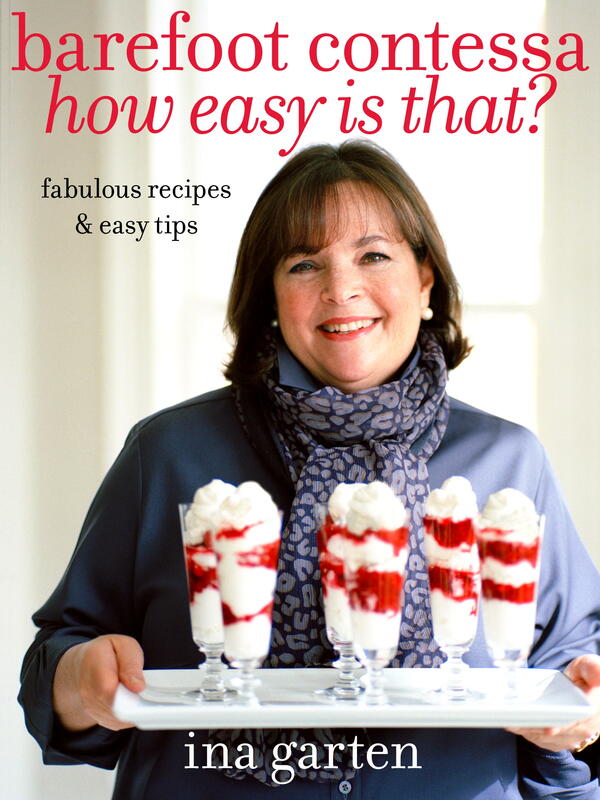 Are you ever stumped on what to make for dessert? Especially dessert for say an important dinner or a holiday? If you answered yes to both questions then you are like me! Christmas eve my mom looked at me and goes "So what are we going to have for dessert tonight... anything?" I just looked back at her with a blank (probably half asleep) expression. I hadn't given any thought as to what we would have for dessert, to be honest I thought we would eat cookies! Christmas Eve dinner in the Wolfe household is kind of a no brainer. We always have that wonderful Chicken Wild Rice soup I shared with your here. But dessert, there is no set dessert for Christmas eve. So the question of what are we having for dessert sent me straight to the cupboard of cookbooks! 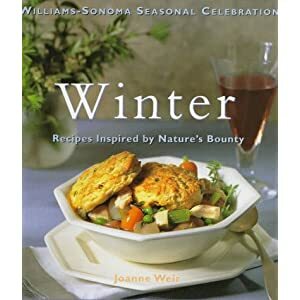 I am not sure how many cookbooks I looked through. 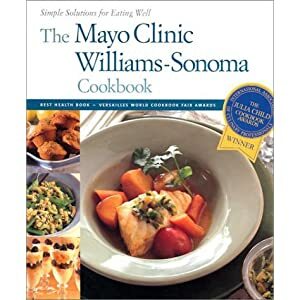 I looked through everything from William Sonoma, to the Mayo Clinic and even The Barefoot Contessa, but nothing stuck out to me. To me I like things simple on Christmas Eve, however simple doesn't mean lack of flavor! 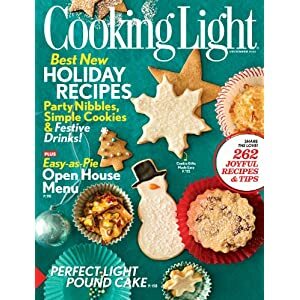 Just as I was feeling a bit desperate to find a recipe I remembered my latest issue of Cooking Light! The December issue was stocked full of delicious desserts, desserts that looked both simple, elegant and adorable (think cupcakes and mini bundt cakes)! Flipping through the magazine again made my mouth water (cooking light has amazing pictures)! I finally decided on a very festive looking Red Velvet Cupcake (yes red velvet is my favorite, but hey red is festive for Christmas)! You can find the recipe I used here (there is also a chocolate and vanilla cupcake recipe from the issue). I followed it to a T. I was very happy with the way these little gems turned out. 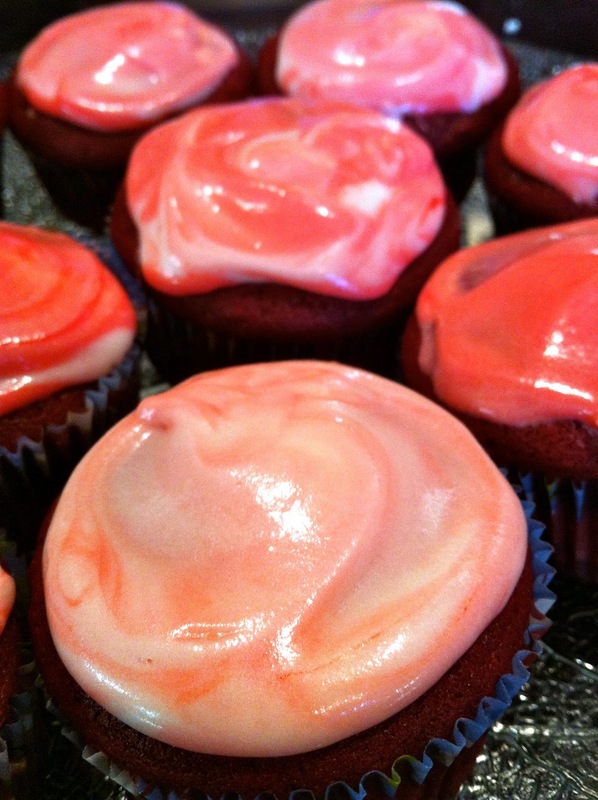 They are probably the best red velvet cupcakes I have made. And the cream cheese frosting isn't to shabby! I swirled in a bit of red food coloring like the recipe called for, and I ended up with a swirly almost candy cane like effect! I will warn you these cupcakes can seem a bit involved, but I thought the end result was worth it. I ended up having extra cream cheese frosting so I am looking for an excuse to use it! Suggestions are welcome! Now go put those aprons on and get to baking! What do you all make for a holiday dessert? Oh my gosh, those cupcakes look delicious. I am going to have to try this one! These cupcake look really yummy! Oh my goodness...how delicious looking. I am officially banning sweets from my diet starting January 1. Good lawdy! Yum!! I made cupcakes at the last minute on Christmas eve...mini cupcakes. And now we still have like 3 dozen of them left! I wish I could reach into my computer screen and grab five of those. They look sooo delicious! Perfect Christmas Eve recipe. They looks great! Nice post and blog. I love to stop and gives your comment here. my husband's cousin makes the best chocolate cake ever! Anything red velvet makes my sister just melt, I'd make her year if I made these for our family New Years party! That is so fun for Christmas Eve! Sounds like they turned out fabulous! 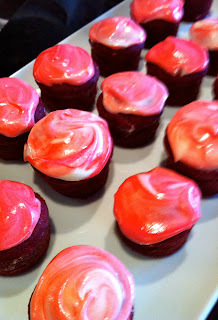 I'm going to have to check that out myself because Red Velvet is the hubby's favorite!! The frosting turned out especially cute! I love red velvet!! I may need to try these! I am impressed, I love your touch on the frosting! I may have to make these closer to Valentines Day! Thanks for sharing. how easy was that, is one of my favs!